Mike Luby leads the Core Technology for TCS (Transport, Communications and Storage) Group. Mike earned a BSc in Applied Math from MIT (1971-75) and a PhD in Theoretical Computer Science from UC Berkeley (1979-83). He was a Postdoctoral Fellow (1983-85), Assistant Professor (1985-1988), and Associate Professor with tenure (1988-1990) at the University of Toronto. He was Theory Group Leader at the International Computer Science Institute (1989-1999). He founded and was CTO at Digital Fountain Inc. (1999-2009), and was a VP Technology at Qualcomm (2009-2018) after its acquisition of Digital Fountain, Inc. 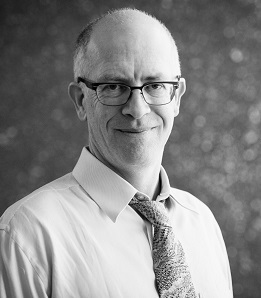 Awards for his research include the IEEE Richard W. Hamming Medal, the ACM Paris Kanellakis Theory and Practice Award, the IEEE Eric E. Sumner Communications Theory Award, the UC Berkeley Distinguished Alumni in Computer Science Award, and numerous prizes for his research papers in distributed computing, information theory, coding theory, transport technologies, and cryptography. He is a member of the National Academy of Engineering, and is an IEEE Fellow and an ACM Fellow.